This post is sponsored by Ocean Spray®. Opinions, as always, are my own. My mother had this wonderful, old-fashioned metal food grinder which she’d clamp onto the kitchen table to make cranberry relish on Thanksgiving day. As a kid, I always enjoyed watching the mashed up cranberries with a touch of orange ooze out the grinder’s bottom-end. To this day, I can mentally taste her cranberry “sauce” with just a mere glimpse of a bag of Ocean Spray® Cranberries. And I’ll always appreciate how food has the ability to transport us back to specific times in our lives – carrying ties to the people and places we love. My kids are quite fond of their abuela’s cranberry sauce – and of the cranberry in general (hello Ocean Spray® Craisins® Dried Cranberries!). 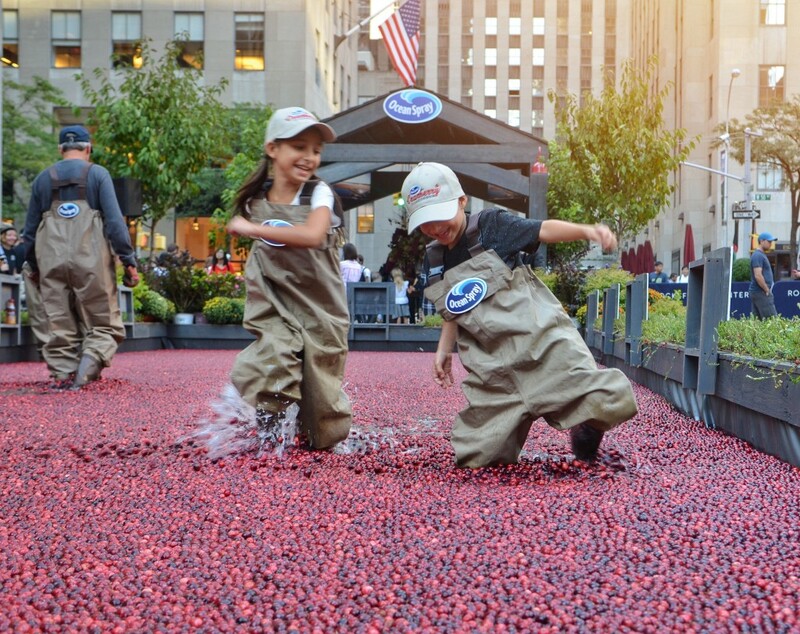 They eagerly joined in my excitement of celebrating the official start of the autumnal season with a visit to Ocean Spray®‘s iconic fresh cranberry bog right here in New York City’s bustling Rockefeller Center®. 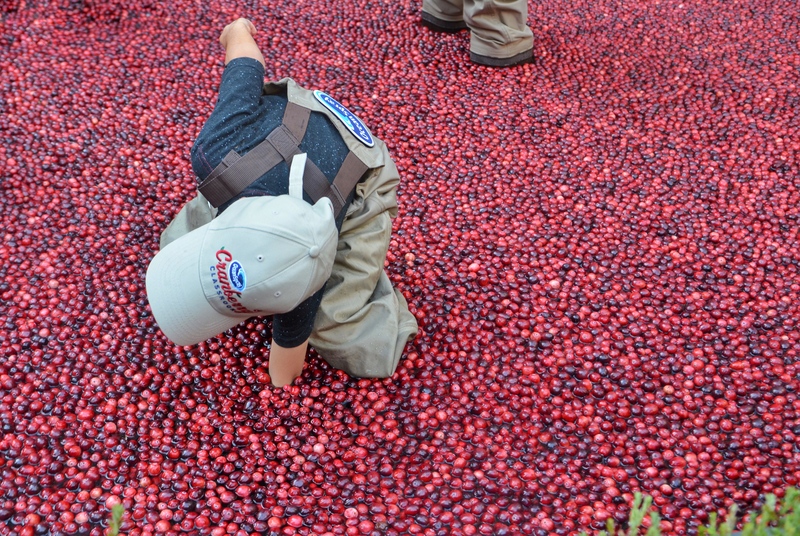 As part of Ocean Spray®‘s Bogs Across America Tour, we joined in learning all about the cranberry and met multi-generational Ocean Spray® farmers in celebration of America’s favorite fruit and the bicentennial of the first cultivated cranberry harvest. 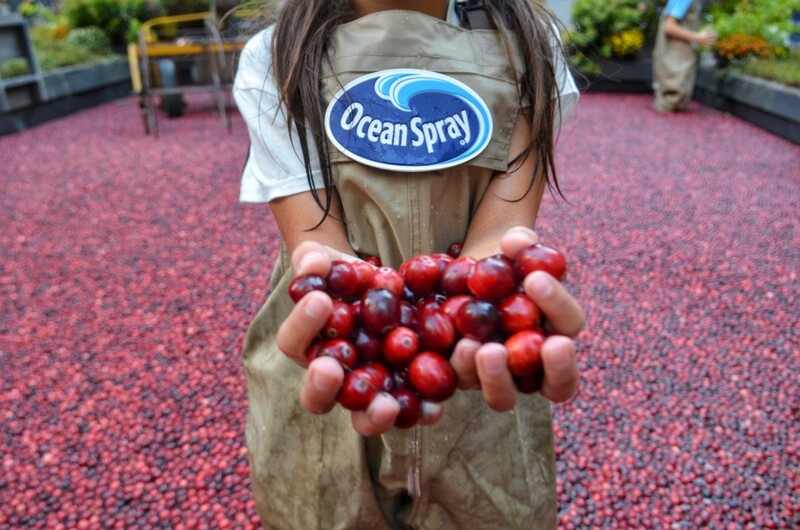 This is that 12th year that Ocean Spray® has brought their 1,500 sq. 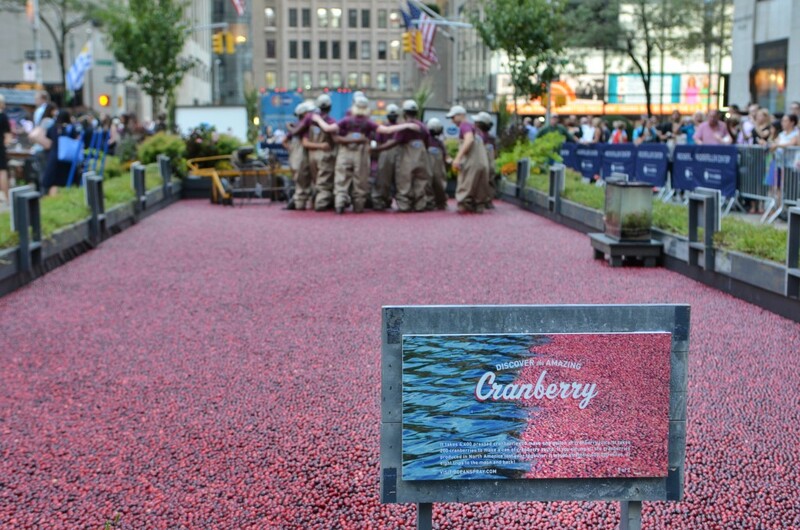 ft. cranberry bog back into Rockefeller Center® – and up until this time, we had only seen it on the news! 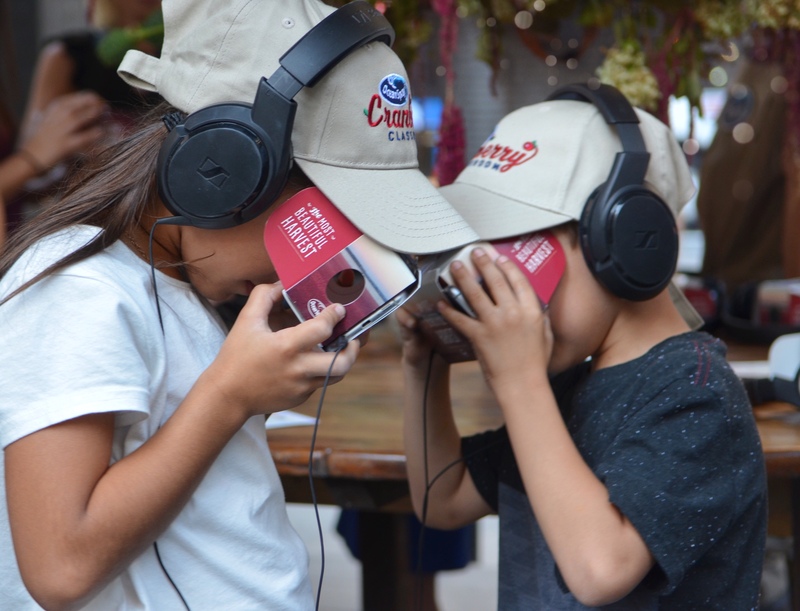 Complete with report cards, the kids enlisted in Ocean Spray®‘s “Cranberry Classroom” and learned all about the cranberry from the inside out – including its amazing story of taste, health, and heritage in a fun, immersive and fruitful way. The kids and I were fascinated to learn about how cranberries grow on low-lying vines and develop four hollow air chambers making them float when removed from the vine. And I loved chatting with families of farmers growing Ocean Spray® cranberries right here in neighboring New Jersey. Equally as cool, was The Most Beautiful Harvest experience, in which the kids had their first go at Google Cardboard – transporting them through a beautiful Massachusetts-based cranberry bog. This incredible, virtual-reality experience celebrates the beauty of the cranberry harvest – while showcasing the fruit’s journey from bog to bottle. No worries if you missed this event – just visit www.OSharvest.com to check out fully immersive, 360-degree views of a bog. It’s the next best thing to being there! Little minds were hard at work as they made mini bogs-in-a-cup with molding clay, gravel, Peat Moss, sand, and cranberry vines. 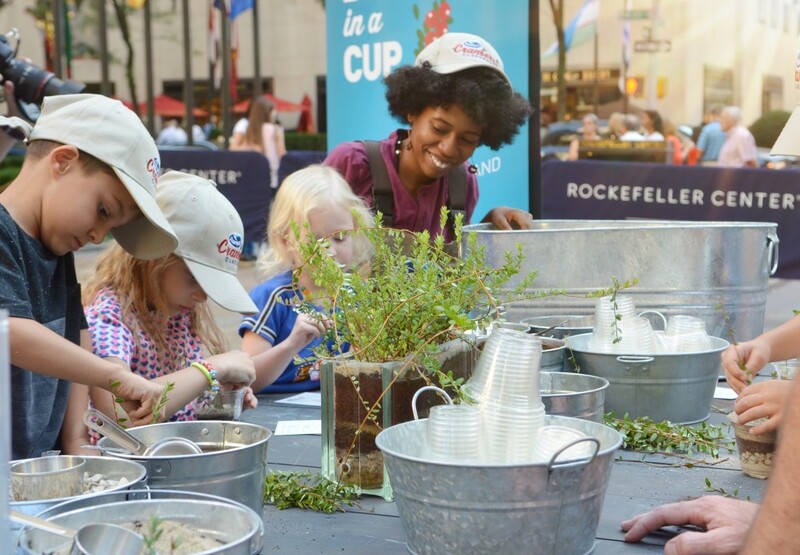 This fun lesson taught young participants all about how cranberries are grown and also gave them the chance to contextualize what they would soon experience inside Ocean Spray’s® real-life cranberry bog! With some serious excitement, we donned waders to get inside the beautifully vibrant bog amidst 2,000 pounds of fresh floating cranberries! The boy was super interested in applying lessons learned. Here he is digging for clay, sand and gravel! While the girl couldn’t resist an opportunity to dump fresh cranberries on her little brother’s head. All this hard work stirred up pint-sized appetites! And reminded me that Ocean Spray® Craisins® Dried Cranberries never fail to please! These Ladybugs On a Log make a great after-school snack. 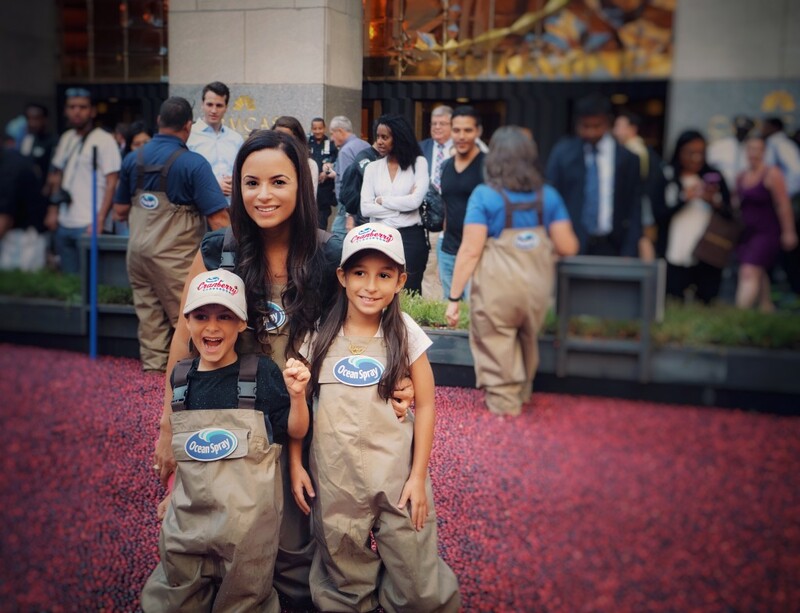 Thanks so much to Ocean Spray® for having us join in this unforgettable experience. Wishing you all the goodness of this new fall season – and do share your favorite cranberry recipes below! 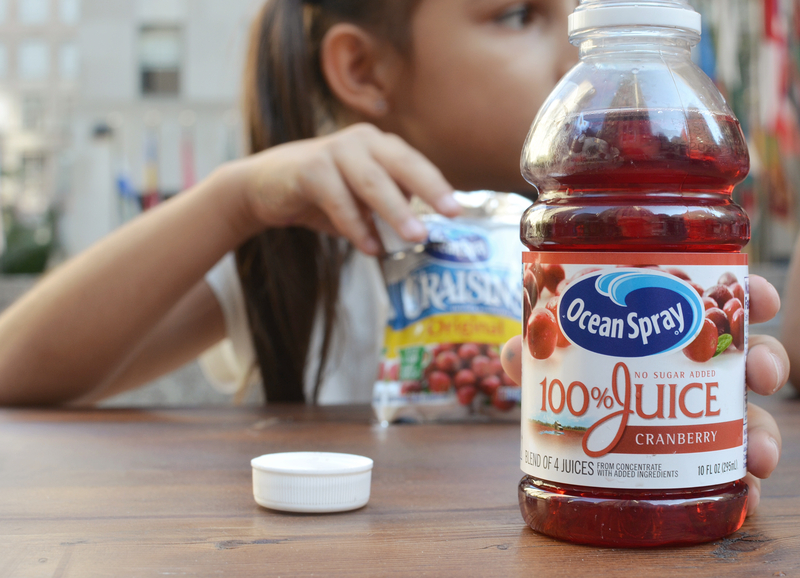 Thank you to Ocean Spray® for sponsoring this blog post. All opinions are my own. I live about 2 minutes from the Ocean Spray HQ and they have so many beautiful bogs around here. My town is actually nicknamed the cranberry capital of the world. It looks like you guys had a lot of fun! Ocean Spray is one of my favorite cranberry juices. What an amazing experience! I’ve always been fascinated by the way cranberries and rice grow. The whole bog thing just blows my mind. 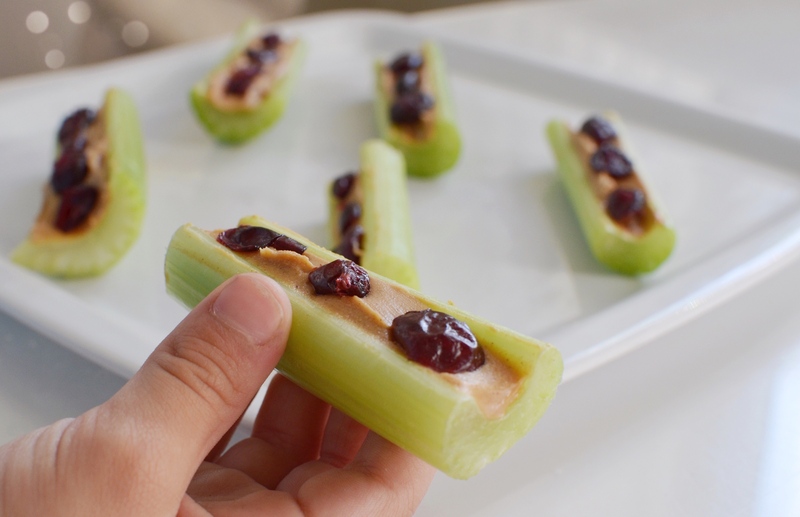 These are the cutest snacks ever! I loved seeing you guys at the event! So much fun!! Fun! I have to head over to the website for the bog view. I think cranberry bogs are so interesting! It looks like the kids had tons of fun. I love Ocean Spray Cranberry juice! That looks like so much fun! What a great experience to teach the kids all about yummy cranberries. OMG, this looks like so much fun! I would absolutely love for my kids to experience something like this! Oh, this is a wonderful bonding experienced. Cranberries are yummy and it looks incredible to visit this place. Looks super fun. And I love craisins as a snack. Oh this looks so fun! We love ocean spray! I was there hosting this event!! SO much fun!! I’m glad you guys came and fun as well!! Loved speaking to you guys!! I can’t believe I missed this bog-o-rama right here in my city! Hope they do it next year too.